Today, most staffing companies are struggling with identifying which of their consultants are the most profitable. They can measure overall revenue, but not the profit associated with the particular consultant — which means they make decisions based on partial or inaccurate information. Operating a business without having a focused vision on profitability can be inefficient and potentially inaccurate. Profitability analytics is not just a one-time calculation exercise, but it’s a live system to be intended for continuous use by decision makers in staffing business. Therefore, it’s must be deployed in to the business, which helps users who are actually making critical commercial decisions. 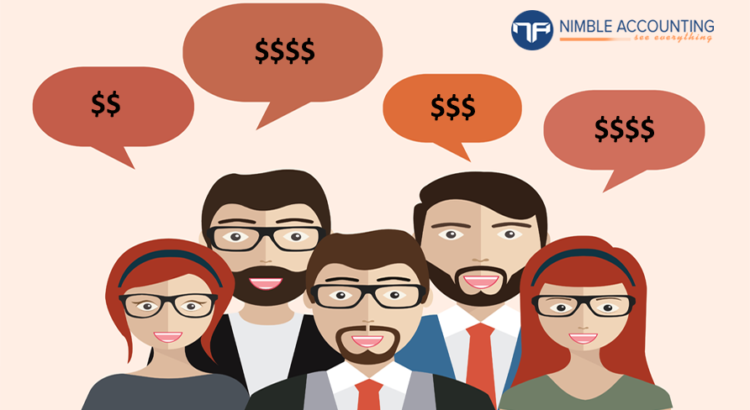 Nimble, an accounting software tailored for IT Staffing Companies allows the user to count the profitability and percentage of each consultant with ease. It’s known for performing streamlined consultant profitability analysis – equips profit on each consultant, revenue rate, total billed hours, gross margin, number of projects started / ended. Precise insights on profit margins are provided in the form of graphical format so that user can stay updated of his/ her business health to drive business. Profitability reporting structure of Nimble gets automated results, real-time estimates on consultant wise profit margins. Besides from in detailed profit analysis, users can instantly know their financial status by checking quick view bank balances, account receivables and payables along with all active consultants and corporation info all at a glance on the single dashboard window. Accompanying such user friendly error-free profit analysis play, one can stand at a position to know his/her profit cut at any given point within a few clicks. Configurable Consultant Center is another unique add-on to the Nimble, which is precisely designed to cater Staffing businesses. Single screen access to ‘Consultant Center’ allows them to manage all consultant operations and give the privileges to their consultants to enter timesheets, saving loads of time. Want to master the art of accounting and know how productive your consultants are?